The staff at Fresno Dental Surgery Center work closely together as a team. Our number one priority is to excel at both clinical and interpersonal aspects of patient care. We will continue to aspire to be the best place for your dental care. 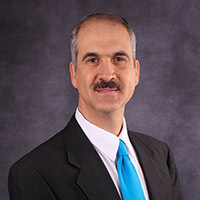 Dr. Vallarine graduated from Loyola Marymount University in 1977 and went on to study at the University of Southern California, School Of Dentistry. 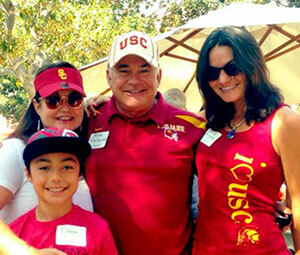 Upon graduating from USC in 1981, he opened his first dental practice in Turlock, California. Over the past three decades, Dr. Vallarine's practices have grown and progressed, but they have never lost their personal feel or sense of values. He understands the importance of providing each and every patient with the personal attention they deserve and takes pride in his practice's uncompromising commitment to providing quality comprehensive patient care. Dr. Vallarine is dedicated to continuously exceeding his patient's expectations and has ensured that each of his offices provides the most up-to-date technologies and procedures, as well as a highly trained and experienced staff. He is a member of the American Dental Association, the California Dental Association and the Stanislaus County Dental Association. In his free time he enjoys traveling, fishing, and spending time with his family. Dr. Vallarine recently retired from Clinical Dentistry in 2010 and has focused his energy on managing Fresno Dental Surgery Center, First Step Dental (Pediatric and Orthodontic) and Hilmar Dental. Dr. Arslanian received his B.S. in chemistry from Cal State Northridge in 1989. He continued his education at Loma Linda University where he earned his Doctor of Dental Surgery in 1993. He joined the Loma Linda University school of Dentistry faculty soon after graduation and maintained a private practice in Southern California. In 1997 he moved to the Central Valley where he has been rendering general dentistry services for children under anesthesia at multiple outpatient surgery centers. 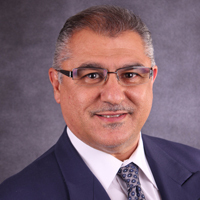 Dr. Arslanian has been part of the Fresno Dental Surgery Center team since 2007. Dr. Spencer graduated from The University of the Pacific in 1972 with a B.A. in psychology. He received his Doctor of Dental Surgery from the University of the Pacific School of Dentistry in 1976 and completed a hospital based General Practice Dental Residency at Valley Medical Center, Fresno, California in 1977. He has been engaged in the private practice of general dentistry since 1977 and currently has staff privileges at Children’s Hospital Central California, Madera and Kaiser Permanente Hospital, Fresno. He has dedicated a significant part of his practice to the treatment of developmentally and medically compromised children. He graduated from University of Washington with a degree in Zoology in 1993. He then received a DDS degree from university of the Pacific School of Dentistry in 1999. He also earned MBA in 2009 from University of Phoenix. He has been in active duty service with US Air Force from 1999 to 2002 stationed at Laughlin AFB, TX. He loves spending time with his son, and watching him play tackle football. He is an avid fan of college football and basketball. Robert Orr earned a B.S.N. at the University of Southern Mississippi in 1991 with a minor in Military Science while commissioned in the US Army through the R.O.T.C. program. Robert was serving in the US Navy Reserves and the Mississippi Army National Guard since 1986 as an enlisted member. Graduated from Xavier University/Charity Hospital of New Orleans in 1996 with an M.S. in Nurse Anesthesiology. In 2006, he retired from the US Army Reserves, and moved to the Central Valley. 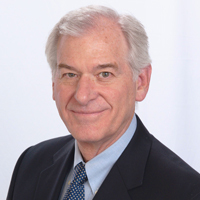 Robert has worked with the Omni Anesthesia group covering such facilities as Eye-Q Vision Center, Herndon Surgery Center, Community Regional Medical Center, Pristine Surgical Center, and Fresno Dental Surgery Center. 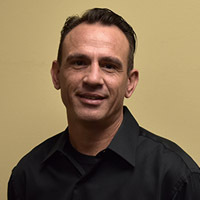 Since September 2012 when Robert became Director of Anesthesia at the Fresno Dental Surgery Center he has been closely working with the dentists to provide a safe environment for the outpatient center. 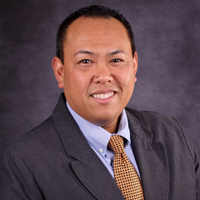 In 2013 while working fulltime, Robert completed an M.B.A. from the University of Phoenix. 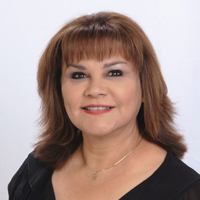 Kitty has recently taken on the role of Director of Clinical Services for Fresno Dental Surgery Center. 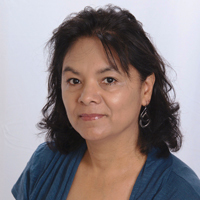 Kitty graduated from Fresno City College with her AA degree in Nursing in 1989. She then completed her BSN Degree with the University of Phoenix. 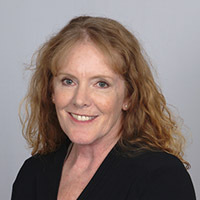 She is a Certified Nurse of the Operating Room, where she has practiced for over 25 years. She is married, has 2 grown children and 2 grandchildren. In her off time she loves to cook, travel, and sew. 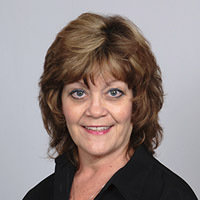 Mary has been in the dental field for 12 years as an admitting receptionist and assistant. Her experience in the field has made her a wonderful addition to our team. When she is not working, she spends time with her two children. I attended Reedly College's dental assisting program. I am an aspiring dentist. I enjoy working in a field where I get to help children. Currently Giselle wears two hats at Fresno Dental Surgery Center. 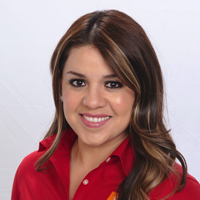 Giselle is one of our Admitting Receptionist and also helps as a Dental Assistant daily. Maggie became an RDA in November 2010. Maggie joined Fresno Dental Surgery Center a few years ago and is currently one of our Admitting Receptionist. She enjoys working with children. She is married with two kids of her own. On her days off she loves spending time with friends and family. 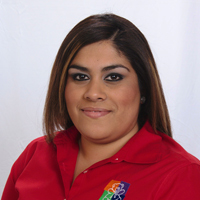 Vanessa is a medical assistant who has been in the medical field for six years now. She has been working in pediatrics and enjoys working with children. She has been employed with FDSC as our Scheduling Coordinator for over two years. In her free time she enjoys spending time with family and friends. 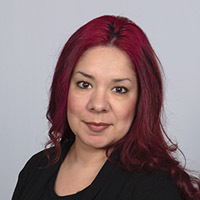 Doris joined our team in 2015. Doris has been in the dental field for over 28 years. Doris enjoys working with kids, who doesn't? The inspiration behind her love for kids is her grandchildren. In her spare time, she enjoys spending time with her family. 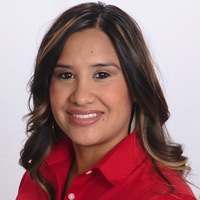 Felicia has spent over 14 years in the dental field since graduating from Galen College. Felicia joined our team in 2015 and is great with our small patients. Felicia has recently taken a position as our lead sterilization technician. 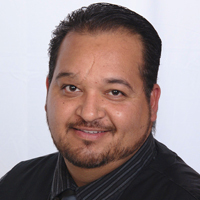 Carlos has been in the dental profession for over 10 years, with over five years of which he has been a dedicated employee of Fresno Dental Surgery Center. As a father of four boys, he knows how important and challenging good oral health can be. It is rewarding to him when families see him and tell him thank you, my teeth don't hurt anymore. Carlos is a father to four boys. He is an outstanding soccer coach. When there is time for him, he enjoys fishing and hunting. 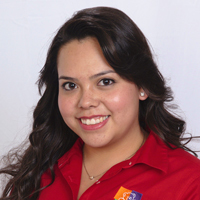 Laura is from Mexico City, she started her dental career after graduating from UNAM in Mexico. 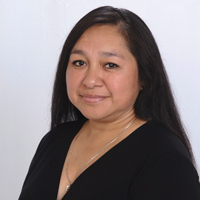 After moving from Mexico City to California, she continued her education at KRCC and took the ESC program in Reedley. She has been in the dental profession for over 26 years. She loves what she does and loves children. She now currently lives in Selma with her two wonderful kids. Laura enjoys going to the movies, being outdoors, and indoor activities with her family. In her spare time she educated kids at schools and day cares about dental health. Linda has been a part of our staff either as a Registered Nurse since 2014. Linda graduated in 2006 from LVN school. Linda worked with Autistic Pediatric patients for 2 years and then moved on to gastrointestinal services. Linda then obtained her RN from Fresno City College in 2012. Linda has a wide variety of hobbies. She enjoys yoga, gardening, riding her bike, walking her 2 Chihuahuas and hanging out with her grandchildren. Mary worked as a respiratory therapist from 1985-2000. Graduated from the RN program in 2000 went directly into PACU at Children’s Hospital in Madera. Worked there until 2010, PACU in Madera took over the Imaging center where RN’s were required to assist anesthesiologist on intubation and sedating patients. She started at Eye Q Clinic in 2007 per diem and enjoyed working with older adults and also had some children for short surgeries. She started full time at Eye Q in 2010. Then in 2012 missed the children and found FDSC is where she feels her skills will be used everyday and challenged. She enjoys speaking Spanish to the parents that require it. Gail has been an RN for over 30 years, more than 10 of those in Pediatrics. Gail spends her spare time with her grandchild and learning new hand-crafts. 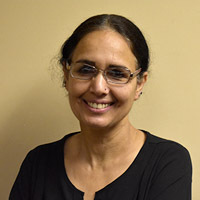 Baljit has been a registered nurse for 17 years. Baljit loves her job and caring for her patinets. 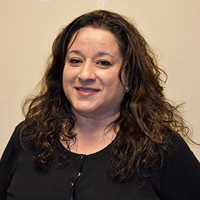 Rosie has worked in the medical field for the last 20 years as a nurse assistant, phlebotomist and registered nurse in pediatrics. When she is not working she loves to spend time with family or traveling. Tony graduated the nursing program from Los Angeles Valley College. Acquiring a position within the emergency department within his first year of practice and stayed in the field for 15 years. During his time being an emergency room nurse Tony treated all age groups and various medical problems. Tony has expert experience and extensive knowledge of care within the acute care setting. Tony is diligent and focused on patient safety while being compassionate and caring at the same time. Treating all the children seen like they were his very own. He has a natural ability to make the children laugh and feel comfortable while being seen at our facility. Catherine McClellan joined the Fresno Dental Surgery Center team in 2006 and has had the motivation to get the job done right ever since. She now has seven years of billing experience under her belt with an area of expertise in Ambulatory Surgery Center dental billing. She considers everyday of work a learning experience because it is not just her job—it is her passion! She believes strongly that patience and perseverance prevail in her line of work and will never be fully satisfied until every claim is paid. Her motto is “NO pay, NO gain”. She thoroughly enjoys working hard at her job, but in her free time she prefers to take roadtrips with her husband and two children, taking nature walks, or simply trying out a new recipe. Nichole has worked in the medical billing field for 16 years. 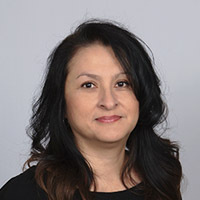 She has been with Fresno Dental Surgery Center for the last 5 years as a medical billing coordinator. She enjoys the challenges that medical billing brings each and every day. Nichole strives for more efficient billing and increased revenue. She is a wife and a mother to two amazing children. Nichole enjoys cooking, gardening, reading and just spending time with her family.